What To Expect Living with the Belgian Tervuren Temperament? Living with the Belgian Tervuren Temperament (Energetic, Intelligent, Protective): What More You Can Expect? 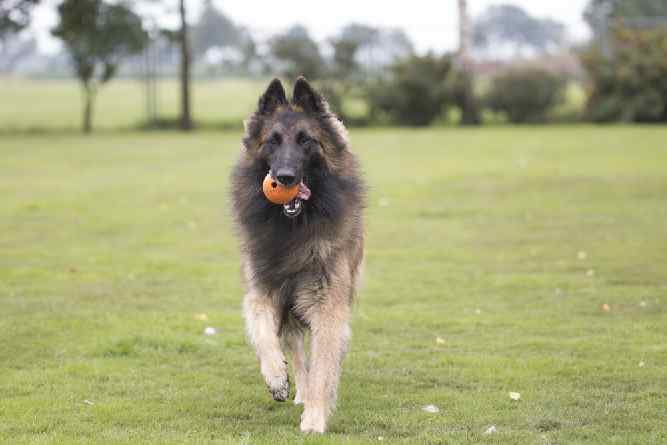 The Belgian Tervuren temperament makes him a comforting teddy bear who can keep up with even the most active of masters. 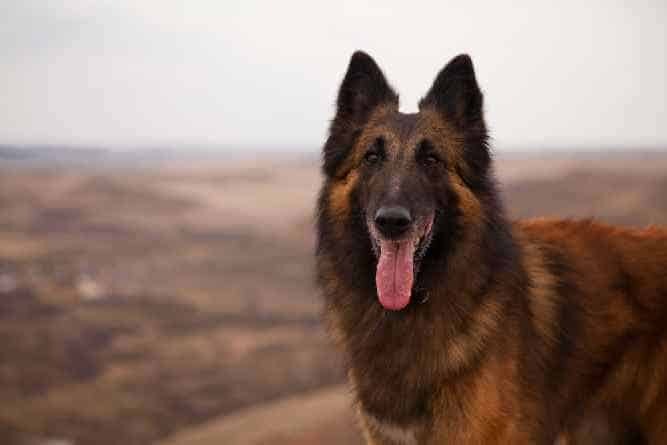 There are at least six “need-to-know” Belgian Tervuren temperament traits you should pay attention to. Understand these and you and you Terv will be on the same wavelength more often than not. Even when he's a “bad boy” you will understand why. The Terv has a lot of energy, which means you must be an active person if you want to bring one of these guys into your home. Training should consist of plenty of active exercises, and if you love to run, hike, or bike, then this is the dog for you. While the Terv is, for the most part, energetic, the energy level depends highly on the personality of the individual dog. Some dogs can partake in activities for hours, while others are happiest being mellow couch potatoes. Remember: a well-exercised dog is a happy dog. A less exercised dog, on the other hand, can quickly become bored and destructive. The Terv is a protective dog by nature. This means that he can become suspicious of strangers if not socialized from an early age. You do want him to be suspicious of strangers to some extent, of course. But without proper socialization, he may continue to treat friends of the family like potential threats even after meeting them multiple times. The Terv is very sensitive to changes in others and in his environment. It’s almost like he has that Spider-Man spidey sense when he can tell something is amiss. He will not think twice about barking to let you know if he senses a potential intruder. Despite the fact that he can be fully attentive to his master, the Terv is not recommended for first-time dog owners. This is because you have to tow the line between being firm and letting him know you’re his leader yet refraining from resorting to harsher training methods. The Terv’s intelligence has actually landed him a job as a police dog in the past. He is fantastic at tasks like search and rescue and bomb detection. He learns new tasks very quickly, which makes him a joy to train. Couple this with his athletic ability, and you can play all sorts of games with him. The Terv forms a close bond with his family and will lay down his life to protect them. The Terv and the German Shepherd are often compared to each other based on similar traits. For instance, when considering Belgian Tervuren vs German Shepherd, they’re both great with children. They both also tend to bark a bit more often than they should. He does best with other dogs and other animals when you raise them together. However, aggression with other dogs is still not uncommon, and he has a high prey drive. This means that you should supervise him when he’s around smaller animals, like cats. Something else to note about the Terv is that, just like his energy level, his level of calm can vary based on his personality. While some Tervs are happy-go-lucky, others can be more alert and on edge. The Belgian Tervuren Shepherd originated, as his name would suggest, in Belgium. Interestingly, there is a bit of controversy surrounding the existence of the Tervuren. Incidentally, the Tervuren, Groenendael, Mechelen, and Laeken are all considered varieties of the same breed. The only thing that separates the breeds is the color and texture of their hair. Like most breeds, you must socialize the Belgian Tervuren as early and as often as possible with other people, dogs, and situations. The more exposure the better, as this will help mold him into a well-rounded dog. You must teach the Terv to handle his energy appropriately, else his independence and intelligence together can get him into trouble. Tervs love being able to master something new. For this reason, it is supremely effective if you turn training into a game. If they feel you are challenging them, then they’ll rise up to meet that challenge. Use praise and positive reinforcement. This is a way more effective training method than resorting to harsher scolding methods, like hitting or yelling. Clearly, the Belgian Tervuren is the sort of breed that requires careful training. Know what you are getting yourself into before you decide to bring one home. As part of your preparation, a resource such as The Online Dog Trainer (by DoggyDan) is worth studying to help you check the Training box. Brush your Terv about once or twice a week for a few minutes each session to keep his double-layer coat under control. At least once a year, the Terv will undergo a shedding season. To keep both him and your house as clean as possible, expand the brushing session to about 15 to 20 minutes. You will also want to up the number of times you brush him each week to stay on top of his shedding. As far as Belgian Tervuren colors go, he comes in a wide variety, from black and brindle to combinations like fawn and liver. The Belgian Tervuren’s life expectancy is between 12 and 14 years. Note: Few things are more important than our Health. It's no different with our Dogs Health. Some visits (and Money) to your Vet can be avoided if only we know how to spot and handle the early warning signs. The Ultimate Guide to Dog Health is the answer. No dog owner should be without this handy guide. It's no substitute for your Vet but it will Save you Money. It will help you quickly understand and recognize symptoms before they become a serious problem for your dog. He can seemingly go on forever without a break. Give him lots of hard work and playful challenges to keep him interested and occupied. It takes an active owner to keep up with the Terv. Therefore, this dog is not for everyone. If you like to collapse into a tired heap at the end of the day after running yourself ragged, then the Terv may be the dog for you. If you would like to add a Belgian Tervuren puppy to your family, first off, congratulations! Secondly, you can find a Belgian Tervuren either from a breeder who specializes in that breed or through a local rescue or adoption agency. The price of a Belgian Tervuren varies, depending on whom you choose to buy him from. The average Belgian Tervuren price is around $1,200. Prices of puppies can vary, depending on where you get the dog from and the price tag a breeder decides to charge. Some Belgian Tervuren puppies can cost as much as $1,500. It all depends on the dog’s bloodline, as well as his location. If you want to adopt a Belgian Tervuren puppy, there may be one available through your local rescue organizations or adoption centers. A Belgian Tervuren for sale will always cost more than one that you adopt or rescue. 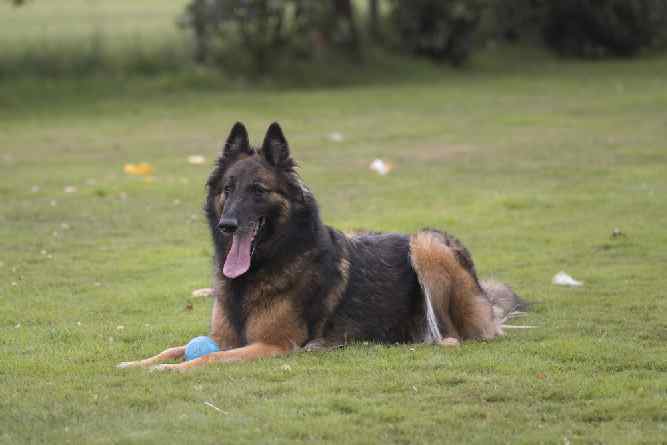 If you’re interested in a Belgian Tervuren mix, then an adoption is ideal. This is because there are always more mixed breeds available for adoption or rescue than purebreds. It can be a daunting task trying to find a reputable breeder. A good resource to consult is The American Belgian Tervuren Club. This site provides you with information on upcoming litters and the breeders who assist them. You can also email the club with information about your location and the kind of activities you partake in. From there, the club will try to find you the perfect local match. Conclusion: Why the Belgian Tervuren? 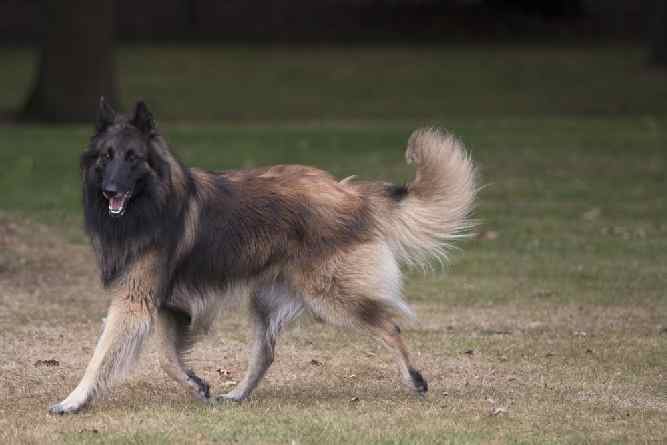 The Belgian Tervuren temperament makes this dog a joy to be around. He is fiercely loving and protective of his family, and he makes a fantastic watchdog who is always on the alert. However, he is not recommended for those who have never owned a dog before. This is because he can be tricky to train. You can’t be too harsh with him, but you still need to let him know who’s boss. He is a bundle of energy, so he does best with those who are already active. He also loves a challenge, so turning training into a game is how he learns best. Next post: Is The Gordon Setter Temperament (Fearless, Alert, Confident) A Winner?